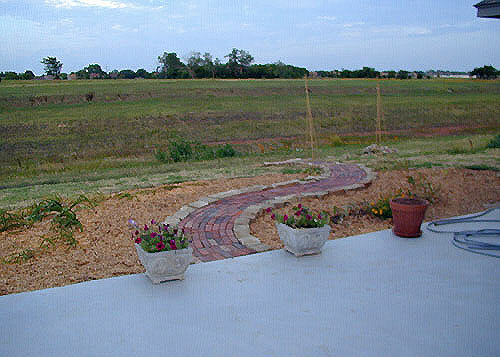 With the brick and stones that were left from construction, I laid a walkway through the backyard garden. I bought a little shed for garden tools, but the patio was the only place in our small back yard where I had room for it. 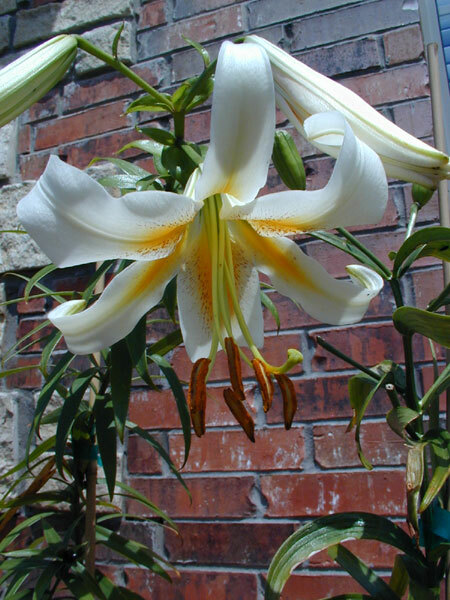 A few of the Asiatic and Oriental lilies, including this White Henryi, bloomed soon after being transplanted to the new garden. 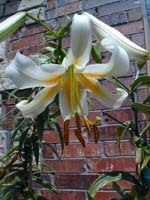 The foliage on many of the bulb lilies dried up too soon after they bloomed, so I don't know if it will bloom next year. I just hope they are still alive down there underground. 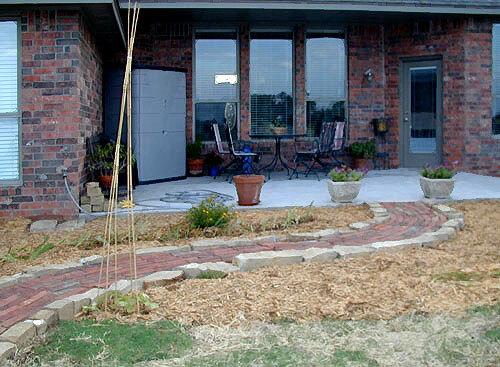 I planted moonvines under those hastily constructed cane trellises. The back of the house faces East, providing shade for the patio in the afternoon. A ravine will prevent anyone from building too close behind us. Perfect!